PERFUME Rodin. BAG Loewe. EARRING Charlotte Chesnais. 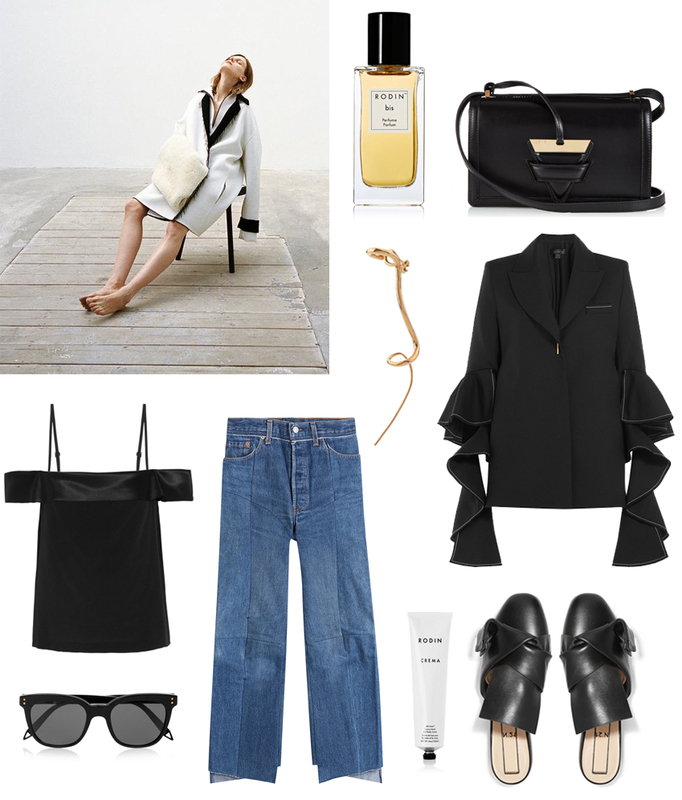 BLAZER Ellery. TOP Dion Lee. SUNGLASSES Victoria Beckham. JEANS Vetements. HAND CREAM Rodin. FLATS No. 21. Great picks, that top with ruffle sleeves is gorgeous! Great picks, love each one. There are so many cool pieces!! I want everything on this list except they’re just all so expensive haha. I’ll just lust from afar. Those jeans are especially beautiful. Need those No. 21 flats! Count me in for that gorgeous bag! Totally LOVE the black top! So loving all these, especially big sleeves! OMG that nlazer is amazing! The black top and the flats are awesome!